Each of us expresses as Divine Love in our own unique way. During a deep meditative process several years ago, I posed the question “Who am I?” The answer was simple and clear ~ I am love. At the very core of our being it is what we all are. 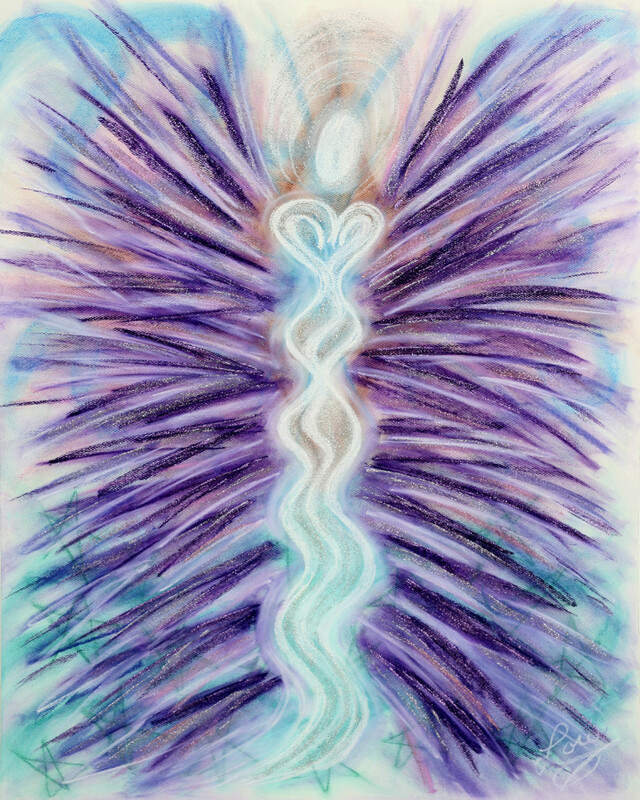 Since we are all aspects of the Divine, we each share our divinity in unique, loving ways. The only thing that gets in the way of that love showing itself in every moment of our lives is FEAR … otherwise known as False Evidence Appearing Real. When fear runs the show, we present ourselves as something other than who we really are. In the absence of fear, we will always portray the truth of our divinity, the truth of our Divine Love. This Angel of Divine Love was created earlier this year during a live fundraising event for Chix 4 a Cause charitable organization. Chix 4 a Cause exists to share “Gifts of Love” with people who are fighting cancer – to help them get through tough times. Compassion toward all beings is necessary for divine realization. Those with a tender heart can put themselves in the place of others, feel their suffering, and try to alleviate it. The Chix organization epitomizes this truth. Divine Love is the truth of who we are. It is INFINITE, and so are we. 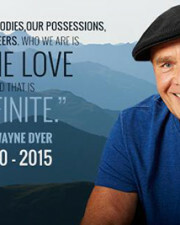 Let us hold onto this knowing in our heart always as we remember Our Greatest Teacher, Dr. Wayne Dyer. 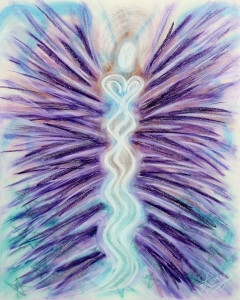 As a Spiritual Life Coach, Visionary Artist, author and public speaker, Lori Daniel Falk is often referred to simply as a Contemporary Mystic. She has been gifted with a new artistic healing modality that enables her to communicate with, and share, the wisdom of the angels in both pictures and words. Her Angelic Message Portraits™ bring a feeling of wonderment and inspiration to all who view them. To date they have found homes in over 20 countries around the world, have graced the covers of numerous magazines, are a regular feature on the DailyOm and are exhibited at the Hay House, “I Can Do It” conferences. Lori’s latest book, “What the World Needs to Know NOW, Wisdom of the Angels,” is currently available at www.wisdomoftheangels.com and her line of Hospice Greeting Cards are now being test-marketed by Blue Mountain Arts.